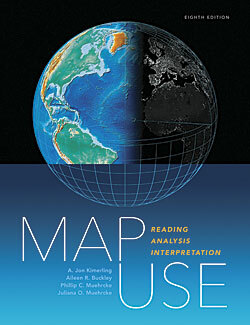 The eighth edition of the classic cartographic text, Map Use: Reading, Analysis, Interpretation, is now available from Esri Press. Since its first edition, Map Use has been written specifically for the map user rather than the mapmaker. Although people work with maps every day, many don’t appreciate all the powerful ways maps can be used. Map Use teaches map fundamentals—what maps are; the types available; what they portray; the purposes they serve; and how to read, analyze, and interpret them. It is divided into three major sections: map reading, map analysis, and map interpretation. Today, that analysis is often done using GIS. “While the focus in past editions was on using paper maps to do analysis, this edition focuses on mapping information using digital analysis, primarily through GIS,” Buckley said. 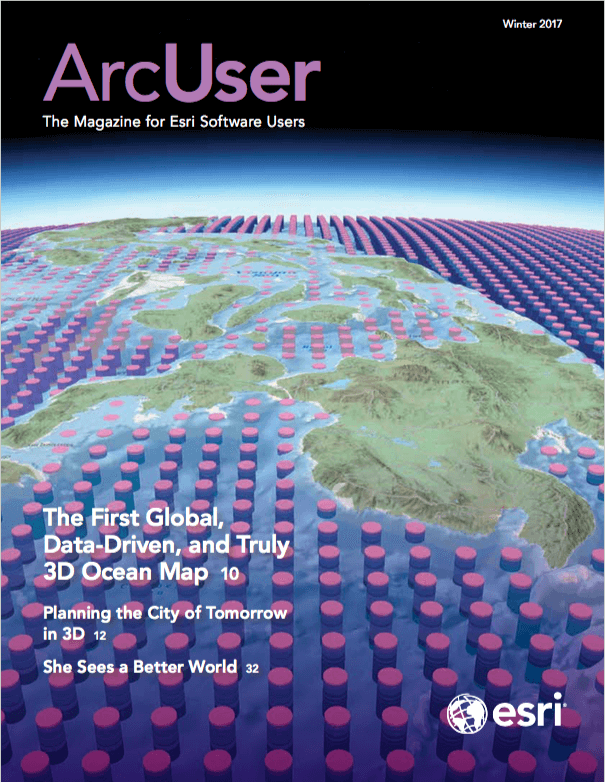 A new chapter on map design basics explains how to define the map’s audience and theme, craft a clear and concise message, choose the right map projection, use proper symbolization, make the map legible, use color effectively, and design maps for the web. It was added to deepen readers’ understanding of what goes into making a well-crafted map. “If you understand how a map is made, you will better understand how to use it,” said Buckley. “I think readers will appreciate the chapter on map design replete with illustrations of both well- and poorly designed maps, intentionally created to show the difference between good and poor design,” said Map Usecoauthor A. Jon Kimerling, professor emeritus of geosciences at Oregon State University in Corvallis. In addition to a wealth of illustrations—nearly 600 full-color maps, photographs, and graphics—this edition has a 44-page glossary that reflects the latest terminology in mapping, cartography, spatial analysis, imaging, land surveying, instrumentation, and the mapping community. Additional coauthors of the book were Phillip C. Muehrcke, professor emeritus of geography at the University of Wisconsin Madison, and Juliana O. Muehrcke, founding editor of the journal Nonprofit World. Esri Press, 2016, print ISBN: 9781589484429 and e-book ISBN: 9781589484696.